"The Importance of a Technology Rollout System of Methodologies"
The rapid deployment of multi-technology, multi-service, multi-site field rollouts requires well- defined processes, robust management skills, and a unique understanding of how to get the job done. Today's Technology Rollout Systems are a comprehensive, multi-technology, multi-service, multi-site system designed to meet varying project requirements in an ever-changing telecommunications industry. 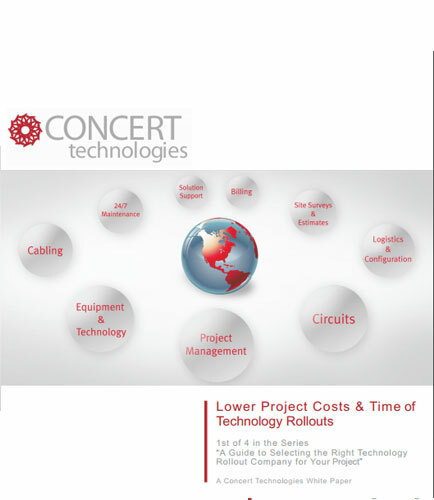 This whitepaper explains a Technology Rollout System, how it lowers costs and saves time without compromising quality, and provides essential questions to ask any technology rollout company. What is Preventive Health System ? Preventive health system is a kind of healthcare systems which helps in the process of the steps taken to prevent the disease instead of treatment. This helps you to detect the disease and its causes before it happen. This results in maintain a healthy and balanced life throughout the life. Telecommunications refers to the interchange of information by electronic and electrical means over a significant distance. It is a generic term that is used for a vast range of information-transmitting technologies such as mobile phones, land lines, VoIP and broadcast networks.